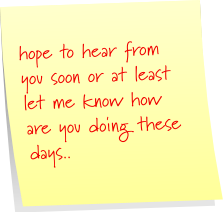 I'm late again.. hoping that linky still open.. join us now with Post-It Note Tuesday and have fun. 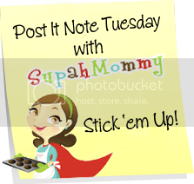 Head over now to Supah Mommy for more Post It Tuesday. I hope that whoever these are to reads them and realizes how special it is to have someone be there for them! Coming at ya from PINT! aww. that's so sweet! 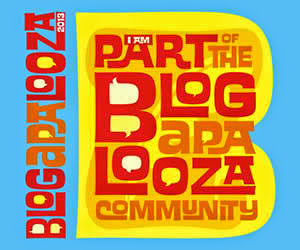 daan me! so sweet naman....para ba to kay mister? ehhehehe...joke lang po te...musta na po kau?